Brighton Tree Specialists - Garden Services, Tree Surgeon based in Hove, East Sussex. Invoice history based on 236 reviews. 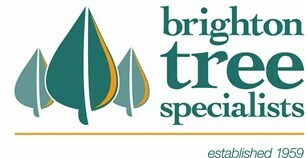 Brighton Tree Specialists - established in 1959 - was one of Brighton's first tree companies. It went under new management in 2001 and since then we have strived to lead the way in professional tree care in the Sussex area. Brighton Tree Specialists has built a reputation for providing a reliable, courteous and expert service that has enabled us to grow a loyal client base. Added to this is our unwavering commitment to the welfare of trees in their natural surroundings, while ensuring that we have minimal impact on the environment as we work. East Sussex: Worthing to Newhaven. Burgess Hill to Steyning and every where in between.